Commercial and government business is changing when it comes to handling capital construction project management from an owner's perspective. Increases in time efficiency and the internet of things have magnified the need for a more owner focused management style with larger construction projects. Harnessing the power of mobility and the cloud will bring construction management software, which once relied on paper and other manual means for processing, to grow into the efficient cloud computing software of the future. It is projected there will be trillions of connected devices by 2020. This means that a solid strategy is needed for proper management of capital projects as well as risk management when it comes to quicker deadlines and higher capital fund investment. While many providers may be comfortable resting on laurels of past successes and offering a mobile option being simply a web app, make no mistake, it is a temporary solution that cannot provide the full power of mobile technology. A native app that utilizes the inherent features and functions of your mobile device is what the demands for capital construction are calling for from owners. 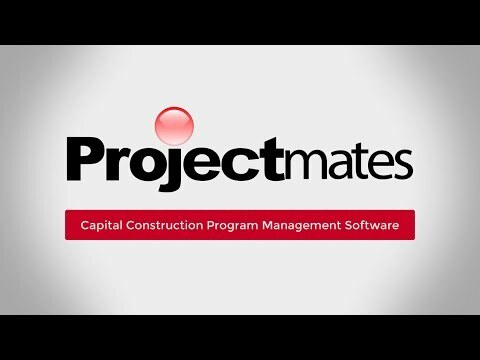 Projectmates is an industry leader and innovator when it comes to software for managing capital construction projects. The native app created by Projectmates offers tools to keep teams in constant contact even when separated by thousands of miles. The talk-to-text capabilities of your mobile device make communication easier than ever. With the discussion forum, Projectmates offers peace of mind so you never have to worry about a team member being left out of an email, phone call, or Skype message. Projectmates mobile app lets you automatically send notifications to team members when you make a post, ensuring that no one is left out of the loop. Offering an up to date single version of the truth that is always updating information from document management, to site surveys, and even including push notifications and instant messaging directly to a team or project wide; Projectmates bring the future to today. In an industry where stakeholders are deployed throughout multiple locations, and often different time zones, a robust construction project management software is paramount to the success of teams and their projects. As teams are often so dispersed, the value of speedy and professional customer service when issues arise cannot be underestimated. Projectmates' high level of customer support and technical staff make the construction project management solution a stand-out for professionals in the construction industry. GetApp reviewers praise the app and its customer service team for their deft responsiveness to user issues, its normal and relevant system updates (which often incorporate user feedback), and eliminating the need for wading through user manuals." Projectmates is the construction industry software leader offering a 100% web-based and mobile-friendly platform, enabling our clients to efficiently manage the entire building process from start to finish on behalf of owners, including developers, corporations, and institutions anywhere at any time using all devices capable of internet connectivity and display. Owners trust Projectmates' award-winning software because of the proven success in streamlining construction programs, keeping projects on track and under budget while working through mobile or desktop devices. The State of Idaho has chosen Projectmates to enable increased efficiencies for current and future capital projects. Projectmates App is now featuring push notifications and discussion forums, complementing the robust industry standard construction app. Enjoy what you're reading? Subscribe to the Projectmates Blog for the latest in construction management. The best software adoptions have several common success factors. Make sure to follow these five guidelines to make your software implementation a success.